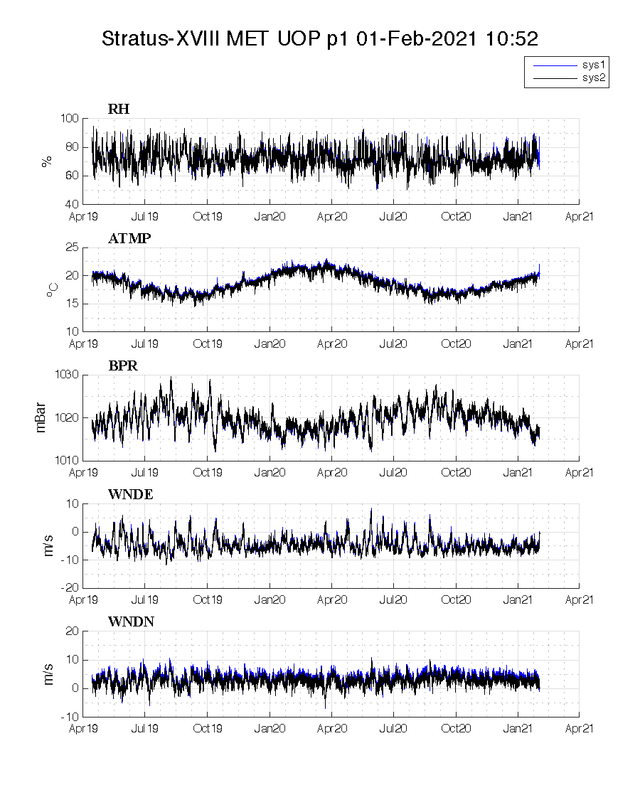 Hourly averaged meteorological data for the current deployment of the Stratus buoy is recieved via Iridium transmissions. 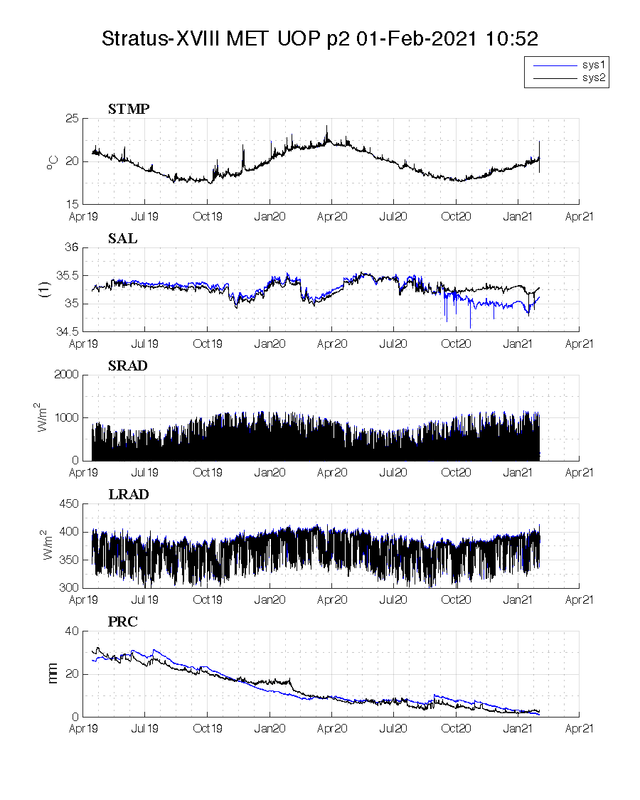 Preliminary data is displayed in unedited form as time series and is available for download as ASCII files. A note on resolution, and one on data formats. The eighteenth Stratus buoy was deployed near 20 °S, 85°W on April 13, 2019 at 23:43 UTC.